Did you miss The Holiday Wrighters? No worries! Hop on over to Z.F. Mim’s website to find this play and many more! Did you miss out on Z.F. Mim’s interview for The Holiday Wrighters on WHQR last week? We’ve got the link for you right here! Tickets are selling fast, so make sure to grab yours now at Brown Paper Tickets! Another Great Review from Star News! We just got another fantastic review from John Staton of Star News! 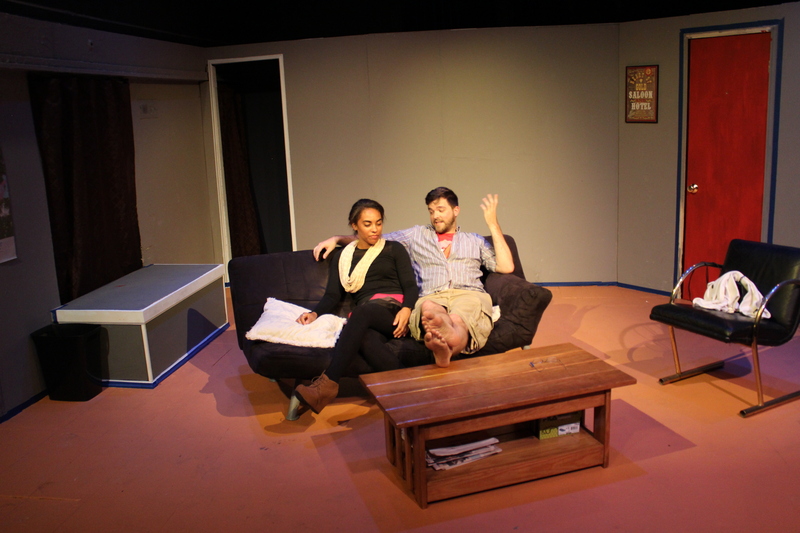 And don’t forget, Forget About It comes back to the Browncoat Pub & Theatre stage for its final weekend tomorrow night at 8pm with shows Friday and Saturday at 8pm and Sunday at 5pm! Encore Review of Forget About It! A huge thanks to Gwenyfar Rohler for a fantastic review of Forget About It! For the full article, click here! Miss our WHQR interview? No worries! If you didn’t catch our WHQR interview with the lovely Jemila Ericson, check it out here! As heard on WHQR Public Radio’s Midday Interview, hosted by Jemila Ericson. Tune in to WHQR Tomorrow! Tune in to WHQR tomorrow at 12:06pm to hear Jemila Ericson interview our board of directors about our first show – Forget About It! Want Forget About It Tickets? We’ve Got Them! Aaaaaaaand… Tickets are now officially on sale at the Browncoat Pub & Theatre‘s website for Forget About It – opening THIS THURSDAY! We’ve very excited and we can’t wait for everyone to see the show! Buy your tickets right here! Forget About It First Look! Take a look at some rehearsal photos for Forget About It taken by our fabulous assistant director Kristina Auten and amazing stage manager Naomi Barbee! 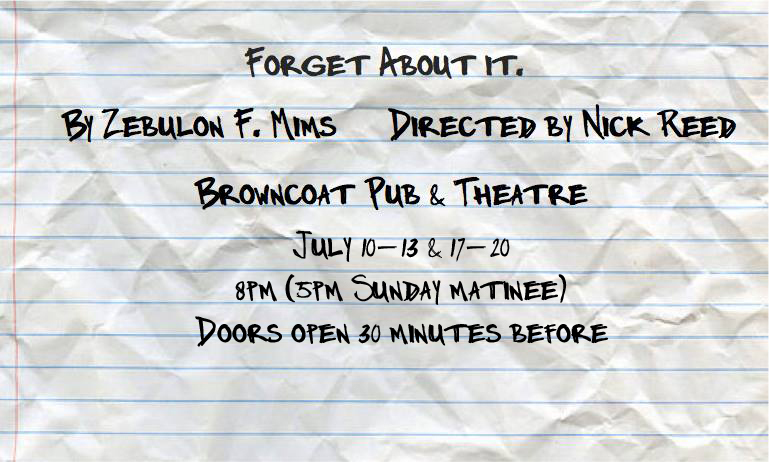 We invite you to join us next week at the Browncoat Pub & Theatre for Forget About It by Z.F. Mims, directed by Nick Reed! We’re very excited to debut our first show with Browncoat! Stay tuned for more press releases, photos, and more from the show. In the meantime, join our Facebook event and let us know how excited you are to come watch us here!